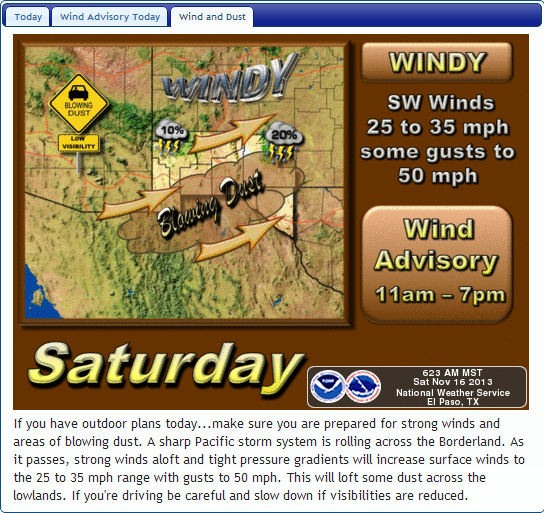 A Windy & Dusty Saturday. 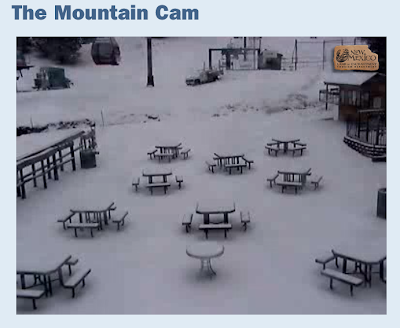 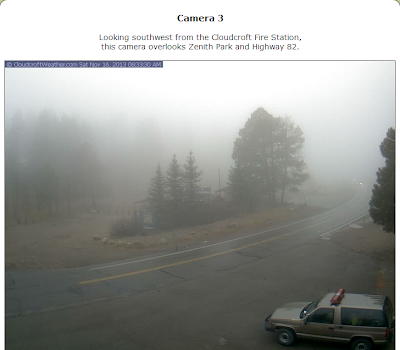 Ruidoso, New Mexico @ 8:11 AM MST This Morning. 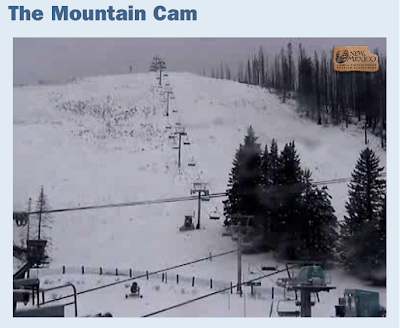 5.0"of snow as of 8 AM MST this morning. 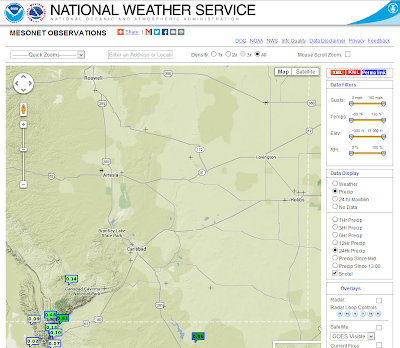 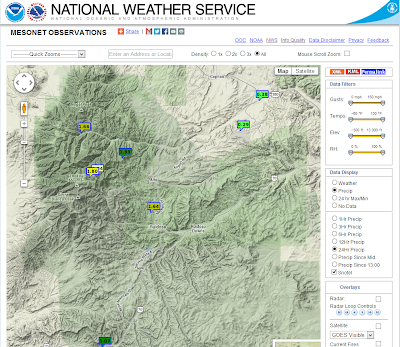 Holloman AFB Dual Polarization Radar Estimated Rainfall Totals. 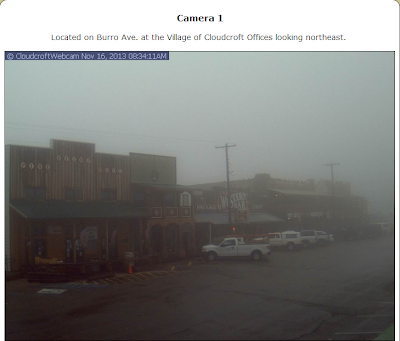 Cloudcroft @ 8:34 AM MST This Morning. 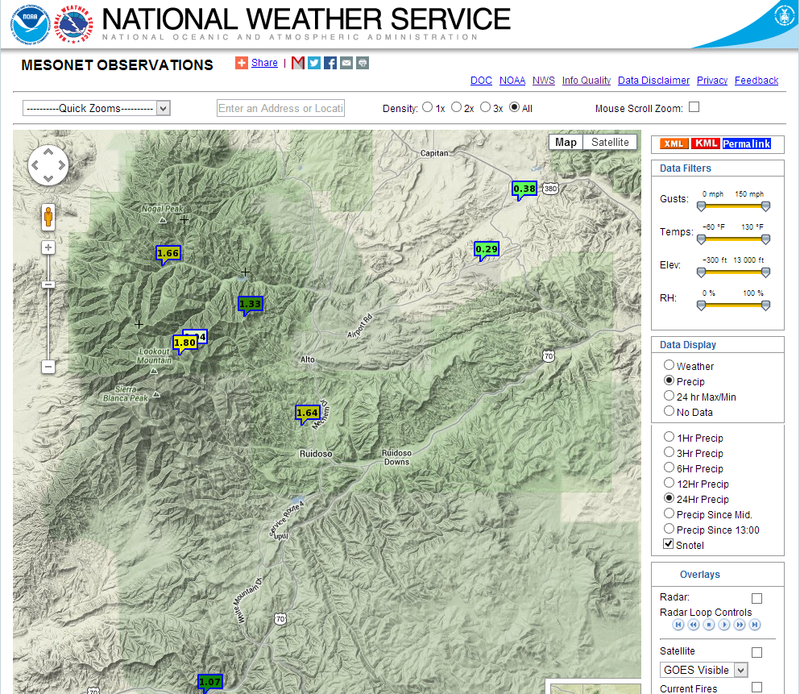 Decent rainfall totals were noted yesterday into last night across the Sacramento mountains especially in the vicinity of Ruidoso. 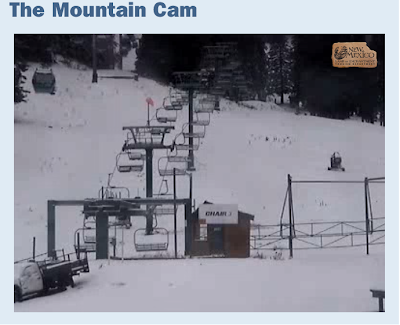 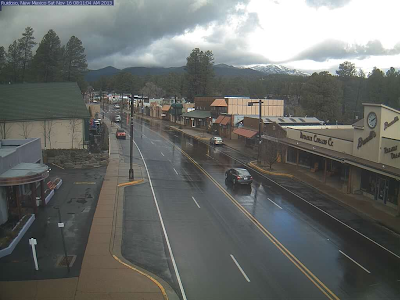 It looks like Ski Apache picked up at least 5" of snow while Ruidoso and Cloudcroft had rain. 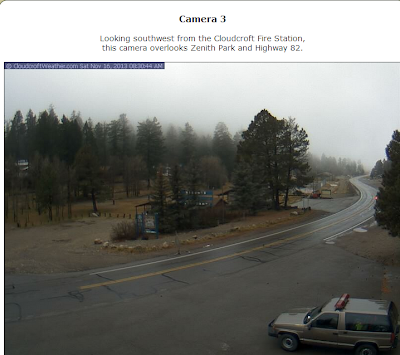 Cloudcroft is fogged in as of 8 AM MST this morning. 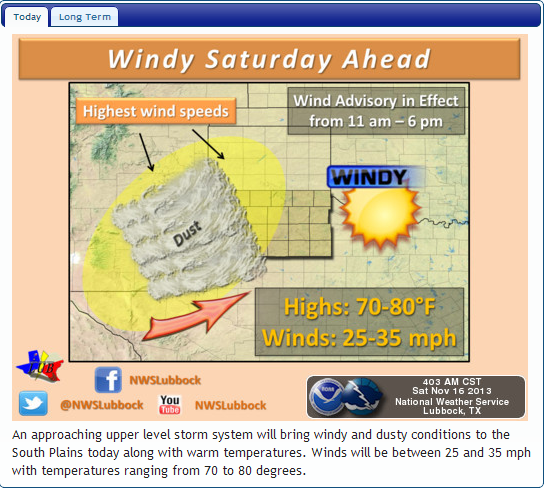 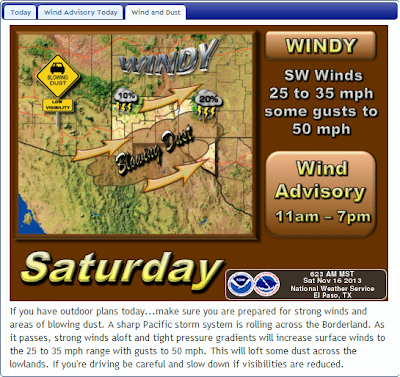 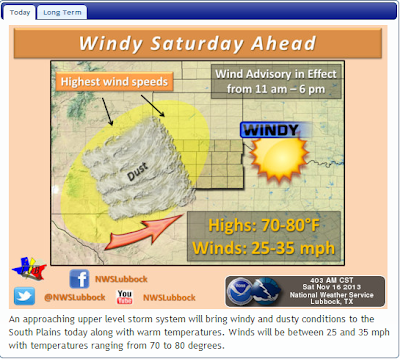 Bufkit Wind Forecast For Carlsbad, NM Today. 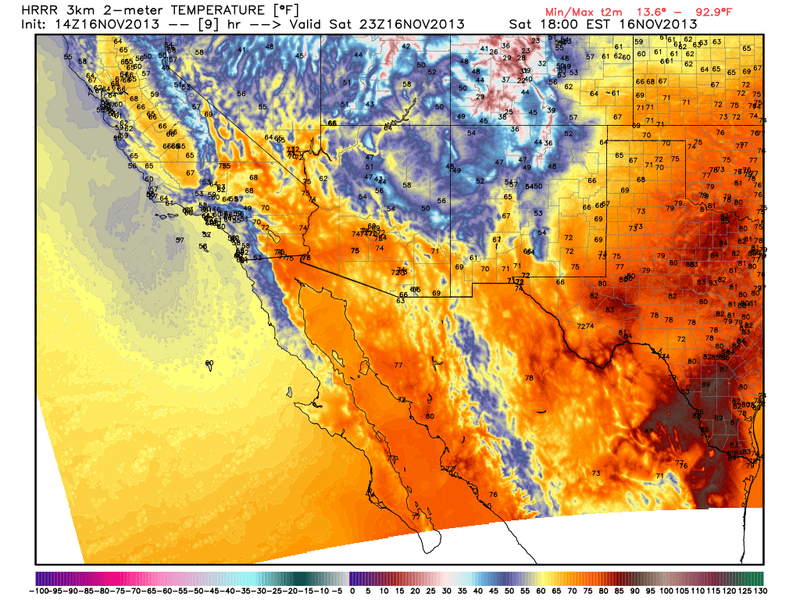 HRRR Forecast Temperatures @ 4 PM MST Today. 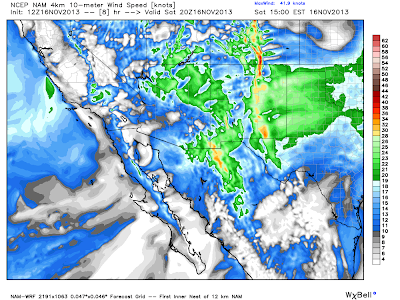 WRF/NAM Forecast Sustained Winds Speeds (Knots). 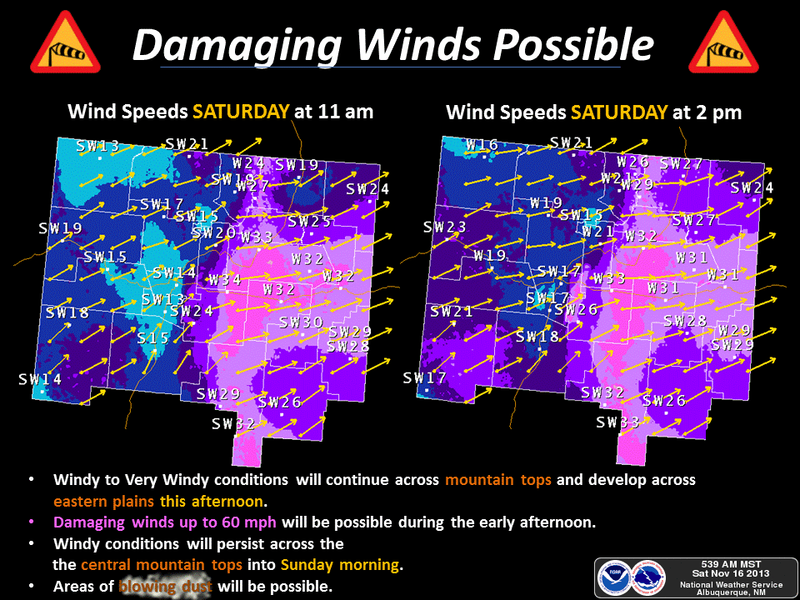 By 1 PM MST This Afternoon. 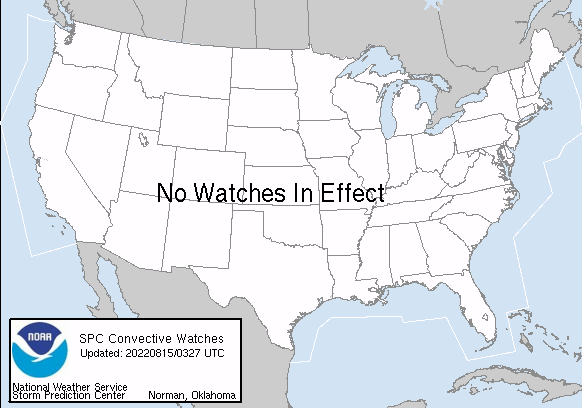 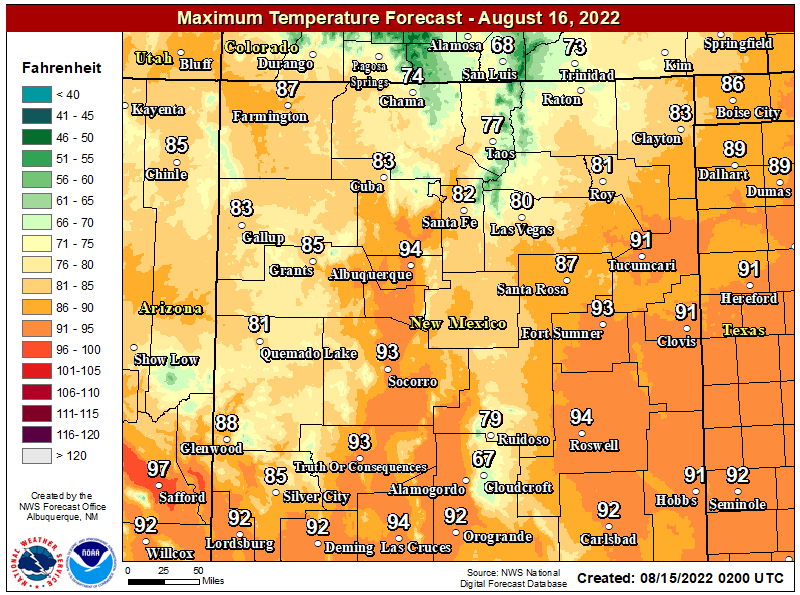 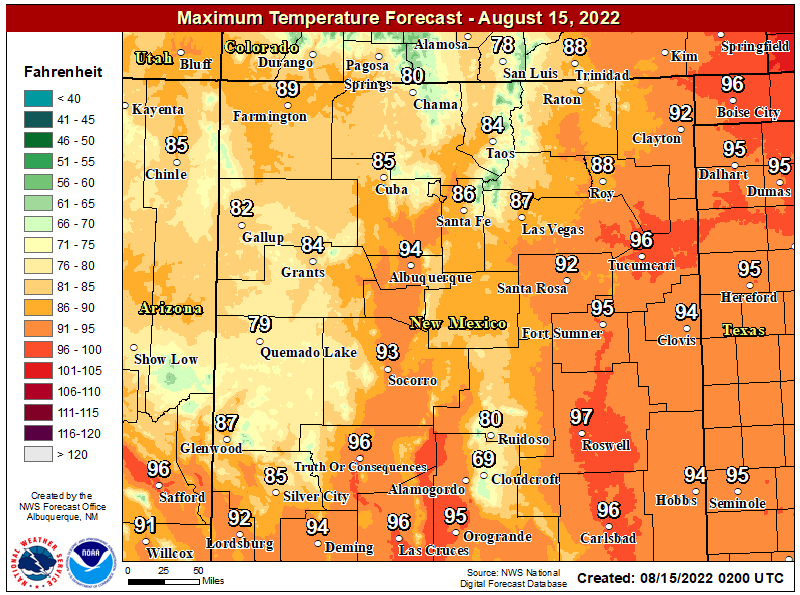 Unseasonably warm temperatures are forecast for today. 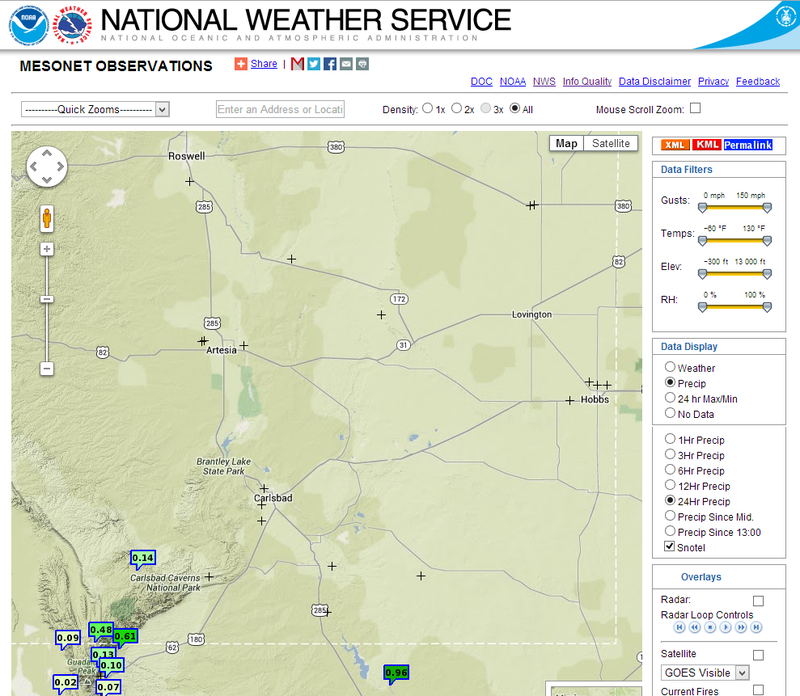 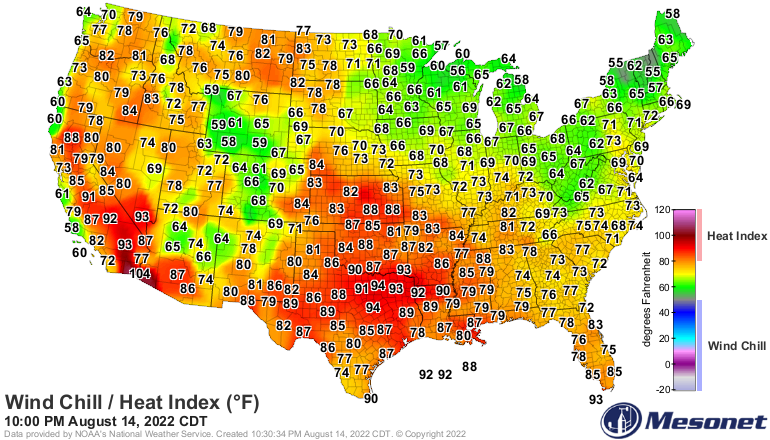 Carlsbad is looking at a high of 81, Roswell 80, and Hobbs 75. 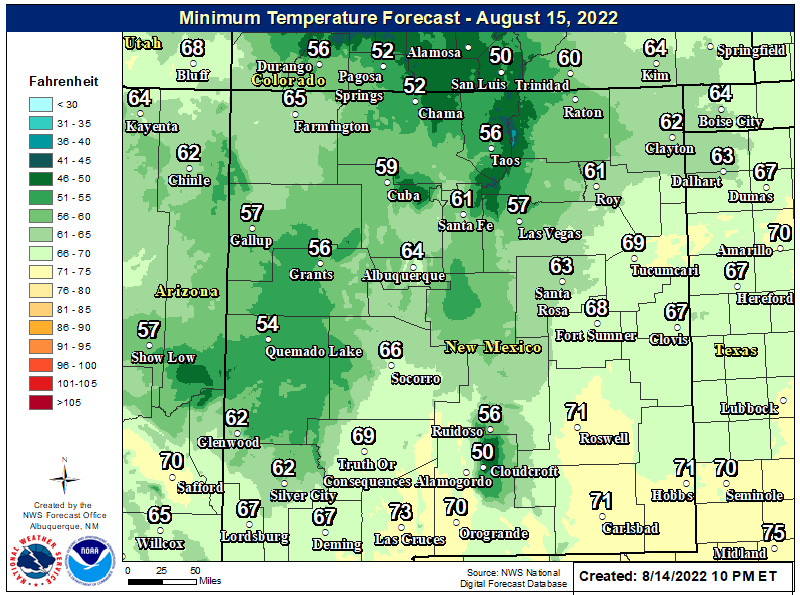 A cold front will swing across the area tonight knocking these highs back down in the low-mid 70's on Sunday, and the upper 60's to low 70's on Monday. 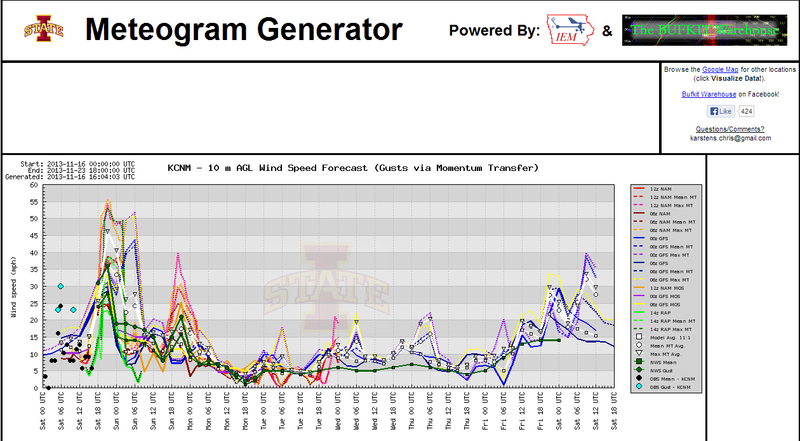 Southwesterly to westerly winds will be howling across the area by noontime today. 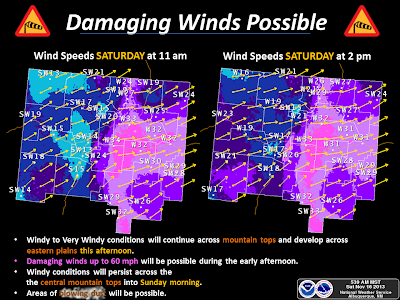 The lower elevations will sustained speeds of around 30 - 40 mph with gusts near 50 mph. 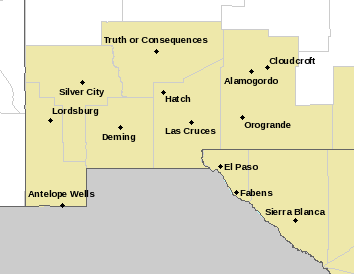 Wind Advisories are in effect for all of southeastern New Mexico except for southern Lea County. 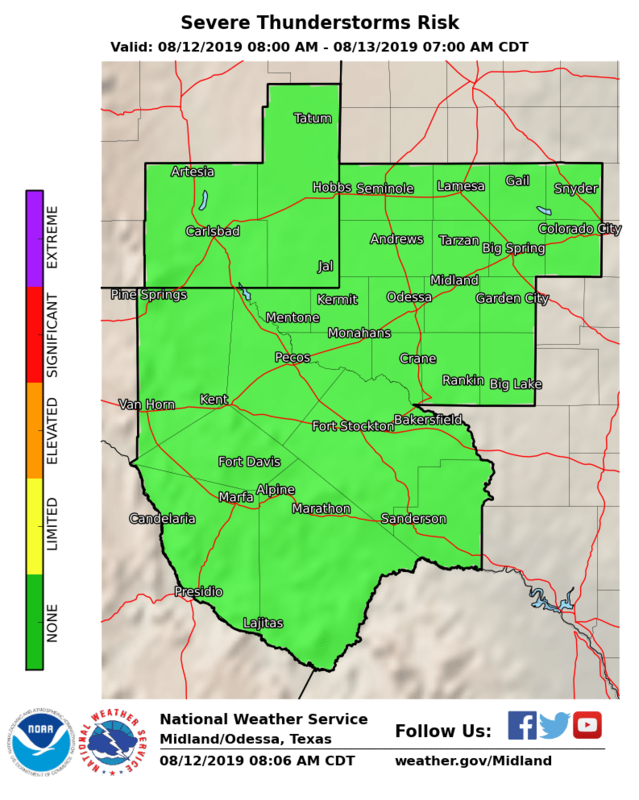 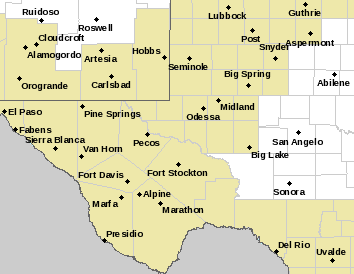 High Wind Warnings are in effect for the mountains today for southwesterly winds sustained at around 40 - 50 mph with gusts near 65 mph in the Guadalupe mountains. Along the east face of the Sacramento mountains and in the Ruidoso area these winds are forecast to be sustained at around 30 - 40 mph with gusts near 60 mph. 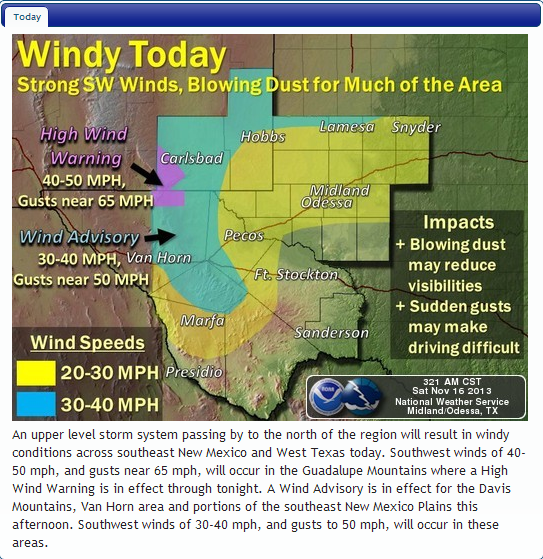 Localized areas of blowing dust may cause a few travel problems this afternoon and early evening. 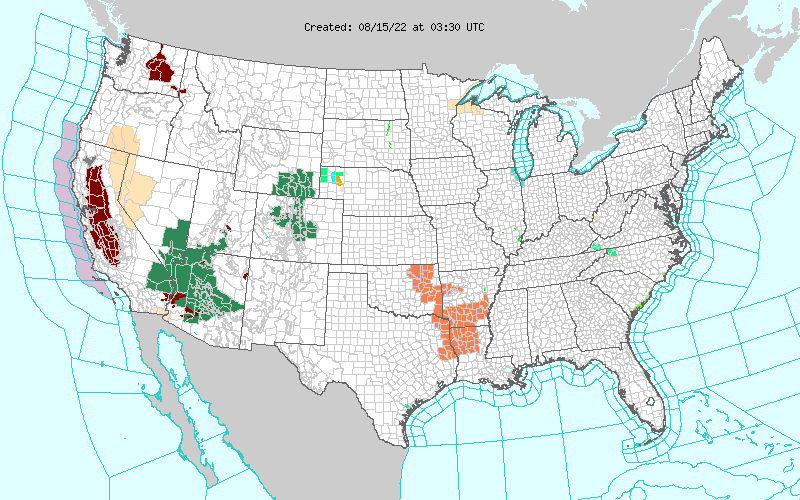 This will be especially true over and near open fields, lots, construction sites, and near freshly plowed or exposed farmland. 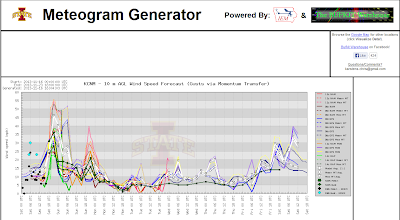 Watch for those sudden drops in the visibility down to near zero at times that may occur with little to no advanced warning. 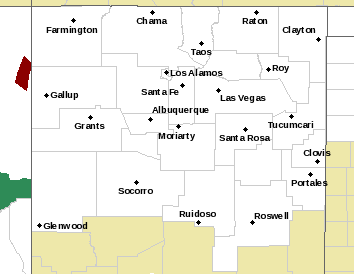 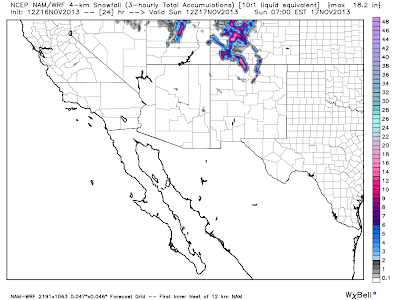 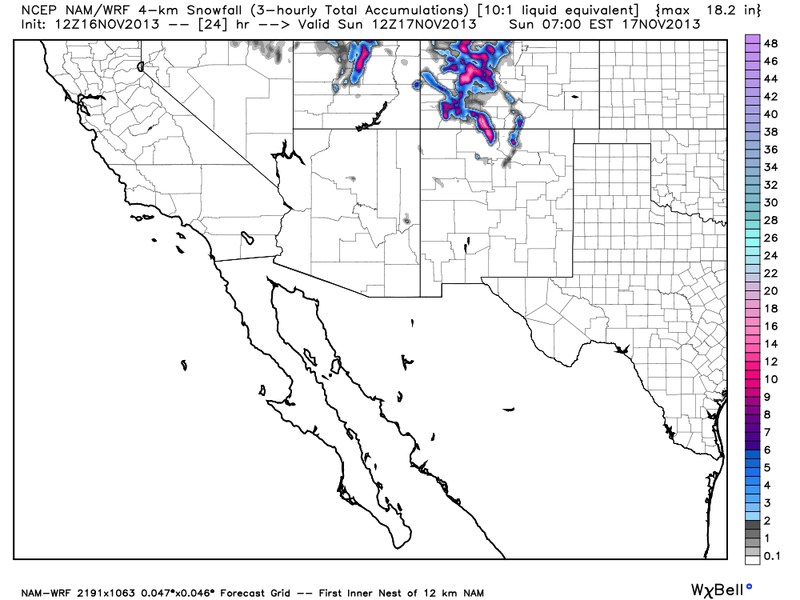 While we choke on the dust here in southeastern New Mexico the northern mountains of the state are under Winter Storm Warnings and Winter Weather Advisories. 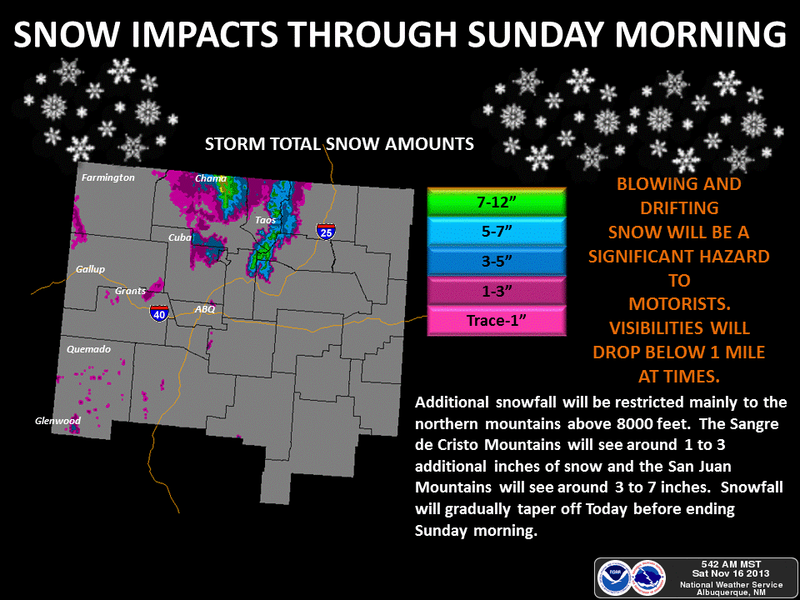 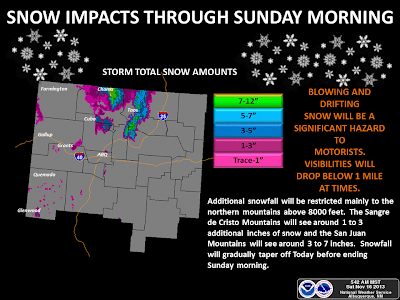 Some of the higher elevations will see 5" - 10" of snow while 2" - 5" is forecast for the lower elevations. 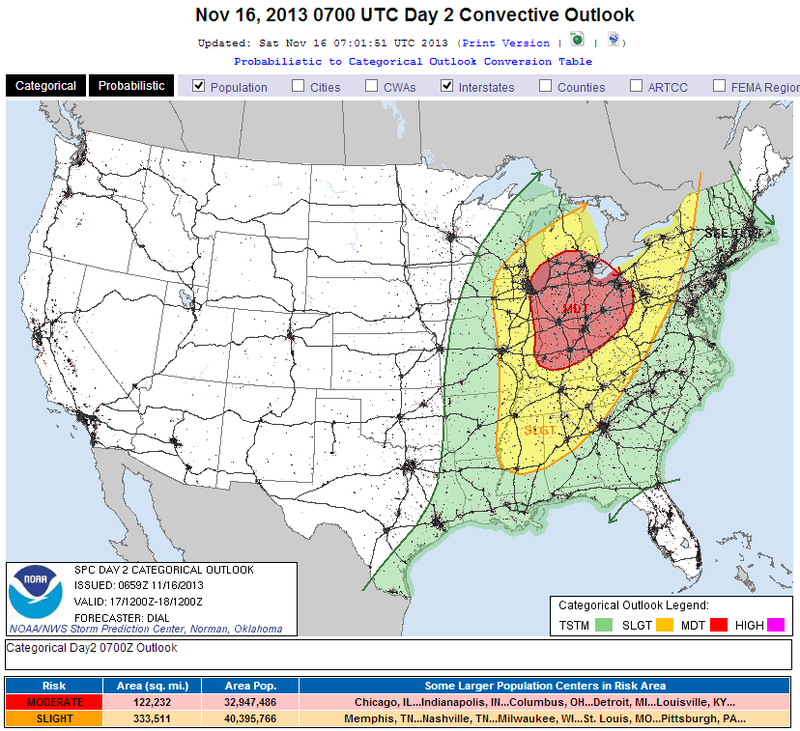 By Sunday our storm will have pulled out of New Mexico and parts of the Ohio Valley will be under the gun for severe weather. 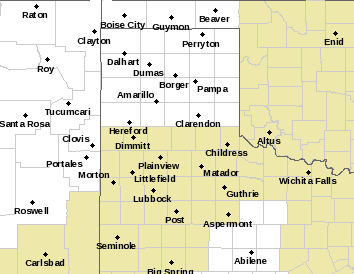 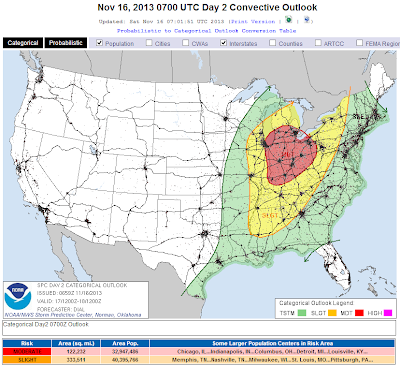 This will include the threat for severe thunderstorms that may produce large hail, damaging thunderstorm wind gusts, and tornadoes.